Sevilla is set to report Manchester United to European football governing body UEFA for not offering their fans enough tickets for the UEFA Champions League last 16 second leg match at Old Trafford. The Spanish club disclosed this in a statement on Wednesday. The two clubs have been engaged in a price war over tickets. 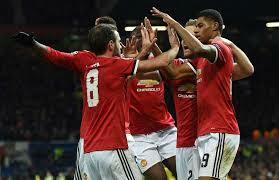 It had escalated when Manchester United informed their travelling supporters their first leg tickets to the Spanish match would be subsidised by charging Sevilla fans more for the second leg. Sevilla are charging Manchester United fans between 89 and 133 pounds ($120 to $179) to watch the game at the Ramon Sanchez Pizjuan on Feb. 21, which the English club considered excessive. In an email to ticket holders for that game, Manchester United explained they would be refunding to them 35 pounds. This was the difference between the 89 pound ticket price and the 54 pound price Liverpool supporters were charged by Sevilla during the group stage of the competition. Sevilla responded by saying they would subsidise their own supporters’ tickets to the Old Trafford match. They said they would also complain to the European football governing body about their fans’ allocation of 2,995, which they say is 4.1 percent of the stadium’s capacity. UEFA Champions League rules dictate that home sides make 5 percent of the seats available to visiting supporters. “Sevilla will subsidise the tickets of the fans who go to Manchester by the same amount the prices rise, so they will not pay more than the 60 euros established (by Manchester United) in the first place,” read Sevilla’s statement. A Manchester United spokesman told Reuters: “We are aware of the regulations regarding equal pricing for home and away fans and we will comply.